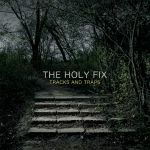 Review: It's not all minimal techno in Romania, as the P-Balans crew ably demonstrate on this second release from local hero The Holy Fix. The synths come down thick and gloopy on "The Void" before "Slagwise" ramps up the horror tones with a perfect distillation of what makes a soundtrack pop off. This is nightmarish disco music in the vein of Maiovvi and the like, and it's delivered impeccably. 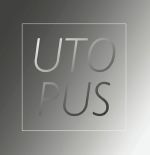 There is a greater focus on club tones amongst the atmospheric FX on Tracks & Traps though, with "Quite Vicious" in particular conjuring up a thrilling, madcap romp through buffed up disco techno. 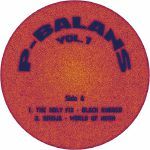 Review: P-Balans continues to shed light on the more unusual underbelly of the Romanian scene, taking a few cues from the dominant minimal scene but adding plenty of analogue weirdness into the mix to provide a genuine alternative for those who like a little more spice in their sauce. 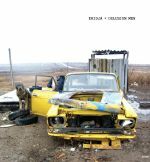 On this release Khidja and Delusion Men team up for some off-kilter trips into subversive danceability, starting with the subtle, wavey acid of "Strayed" before cartwheeling into the spooky delights of "Recurrent Weakness". The ghoulish theme gets ramped up to 11 on "Ghost Caravan", where a deathly slow beat carries all kinds of undead synth work, and then Borusiade takes "Recurrent Weakness" to task with a pinging, plunging remix for the end of days.